From the Wisconsin Historical Society Press, a collection of brief essays (including his popular “Gratitude” piece) from the Sunday Wisconsin State Journal column, Roughneck Grace. 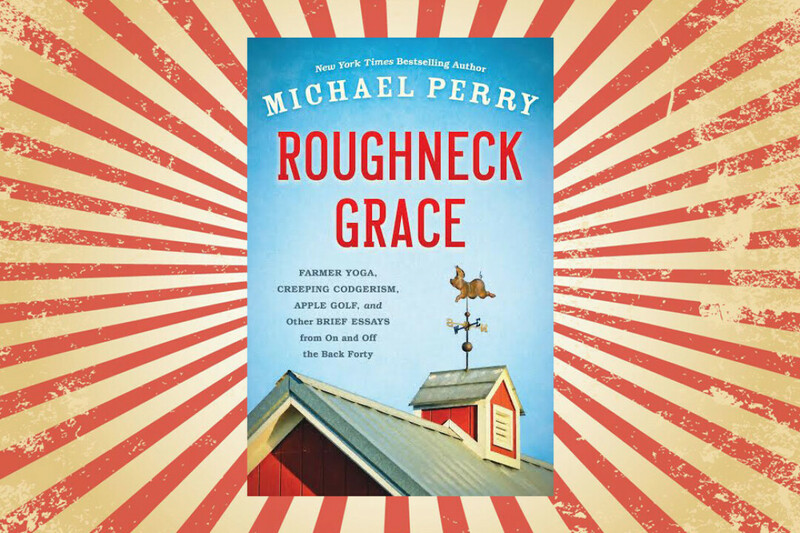 Perry’s perspectives on everything from cleaning the chicken coop to sharing a New York City elevator with supermodels will have you snorting with laughter on one page, blinking back tears on the next, and — no matter your zip code — nodding in recognition throughout. Join us Saturday, October 1 at 7pm for a reading and signing with Michael Perry in the Volume One Gallery at The Local Store. The Local Store is now taking preorders signed copies of Roughneck Grace. Preorders can be picked up in-store or will be shipped from the The Local Store on Saturday, October 1 – and as a special bonus, all preorders get an additional 15% off all other Local Store purchases on October 1.